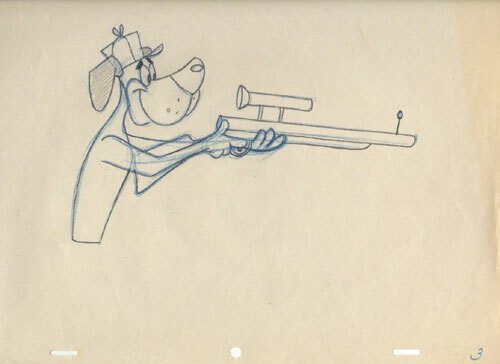 Updated 1/29/2009 This hunting dog with a gun was sold as a Lantz drawing, but I'm not entirely convinced. It stays in unknown until I can track it down. It seems familiar, but not exactly Lantz like; hopefully it'll come to me.